WILD SALMON: Calling All Artists! For Immediate Release. 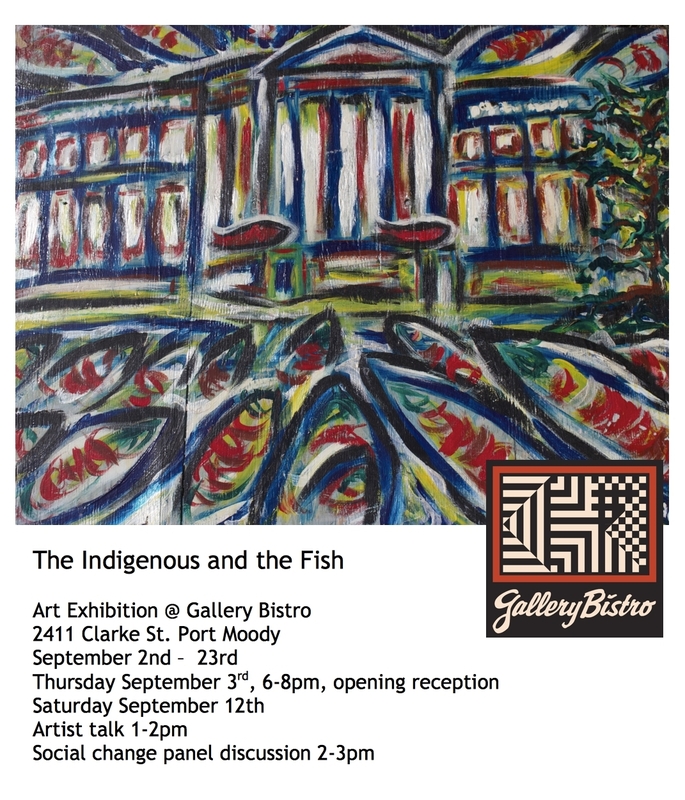 Indigenous and the Fish Art Exhibition comes to Port Moody. Gallery Bistro and Peachy Gallery collaborate on an exhibition that runs until September 23rd. The inaugural ‘Indigenous and the Fish Exhibition’ is a Canadian west coast contemporary conversation and immigrant perspective on indigenous culture and creative allyship to social and environmental struggles. Admission to both events by donation, proceeds to support Burrard Inlet Fish Fest (fishfest.ca) a community festival produced by the Canadian Sound Therapy Arts Society (soundtherapyarts.org). Now serving ecological pancakes! Creative Breakfast by the Creek.